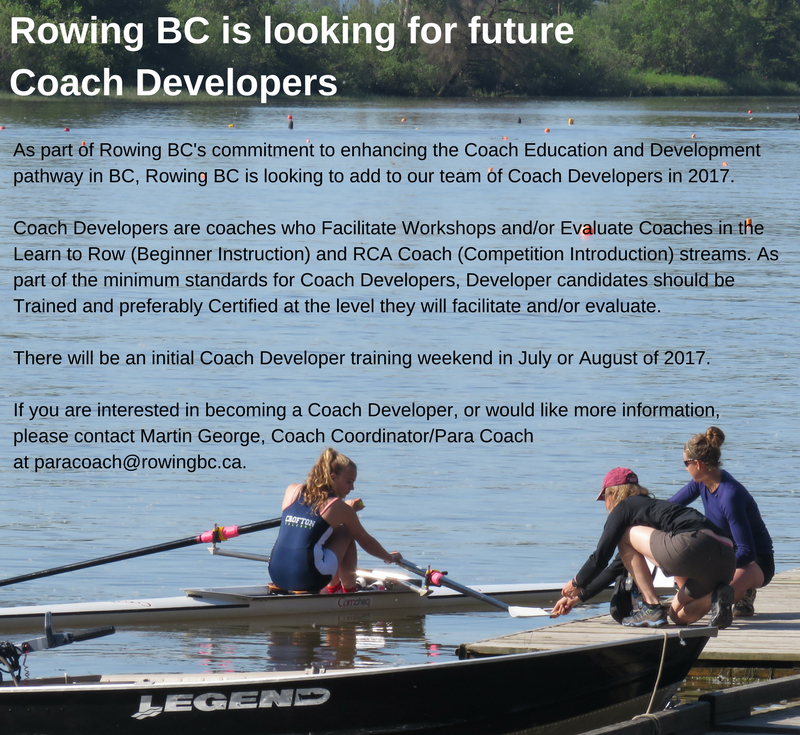 Rowing Canada Aviron (RCA) is pleased to announce the launch of the RCA Coach Mentoring Program and open the application process for the 2017 – 18 program. The RCA Coach Mentoring Program is an initiative spearheaded by veteran coach Al Morrow, to support up-and-coming Canadian coaches with opportunities to improve their skills, knowledge and experience both on and off the water. This annual professional development program is intended for aspiring High Performance coaches. Based on an application and review process, RCA will identify a select group of developing coaches and offer up to $2,500 total in support which could be used towards visiting a Mentor Coach at an RCA Training Centre, and/or attending the 2017 National Rowing Championships, 2018 RCA National Coaches Conference, FISA Coaches Conference, FISA Jr. Coaches Conference, US Rowing Coaches Conference, or Joy of Sculling Coaches Conference. Applications are to be submitted by April 15, 2017. Apply here! For more information on this program, contact Al Morrow, RCA Coordinator of Coach Mentoring and Development.